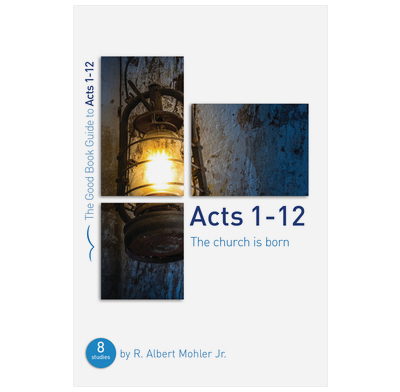 Albert Mohler guides groups through the first half of the book of Acts, showing how the ascension of Christ, the coming of the Spirit, and the birth and growth of the church shapes our lives and mission today. There is an accompanying Expository Guide available to help you lead these eight studies in Acts. I'm part of the core group of a brand new church plant, and we've been slowly working through this guide in our midweek gatherings. It has been very insightful, and very natural to also add my own open-ended questions to the study. We've had great discussion as we've studied the birth of the Church, especially in the context of the birth of our new church! We'd love to see another guide released that covers the rest of the book! Gets into the message of Acts and what we should be about (Acts 1:8)! There's plenty to talk about and will easily take an hour over each study. This book promised questions that would really open up discussion, But we found that most were closed questions expecting one or a limited range of answers.